If you’re missing teeth, it’s important to fill in the empty spots in your smile. Missing teeth can make it difficult to bite, chew, or speak naturally. In addition, surrounding teeth may drift into the open space and misalign your smile. Fortunately, Dr. Ganjoor offers sturdy, comfortable dental implants to restore your appearance, confidence, and function. An implant is planted into your jaw bone to replace the root of your missing tooth. A biocompatible titanium rod will hold an artificial tooth. 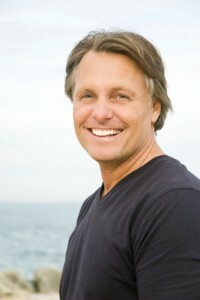 Implants are ideal to replace single missing teeth. These prosthetics are non-removable, natural-looking, and strong to withstand normal wear and tear. Dr. Ganjoor will use 3D Cone Beam X-rays to evaluate your bone architecture and tissue. Your candidacy for implants depends on good oral health, sufficient jawbone density, and adequate spacing. If your Celina dentist decides that you will benefit from implants, she will insert the titanium rod into your jawbone. During the next three to six months, your bone tissue will fuse with the implant post through a process known as osseointegration. Once the post is held firmly in place, you will return to our office so Dr. Ganjoor can attach replacement tooth or crown on the post. Dental implants have a 95 to 98 percent success rate. Dental implants are secure and strong to last many years with proper care. As a bonus, implants can also be used to stabilize a denture or bridge. Since your bone merges with the titanium post, your replacement tooth will be comfortable, durable, and functional. 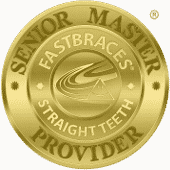 Additionally, if the tooth gets damaged, Dr. Ganjoor can simply replace the attached crown. Dr. Ganjoor has received advanced training at Angle Institute so she can provide full-service implant dentistry to her patients. She places and restores implants right at home in our Celina dentist office. Contact Celina family dentistry at (214) 851-0130 to schedule an implant consultation. We welcome patients from Celina, Prosper, Gunter, Frisco, McKinney, Aubrey, Pilot Point, Anna, and surrounding areas.